Photograph 1 - One of 2,400 stars, musicians and artists along the walk of fame Hollywood Boulevard, LA. 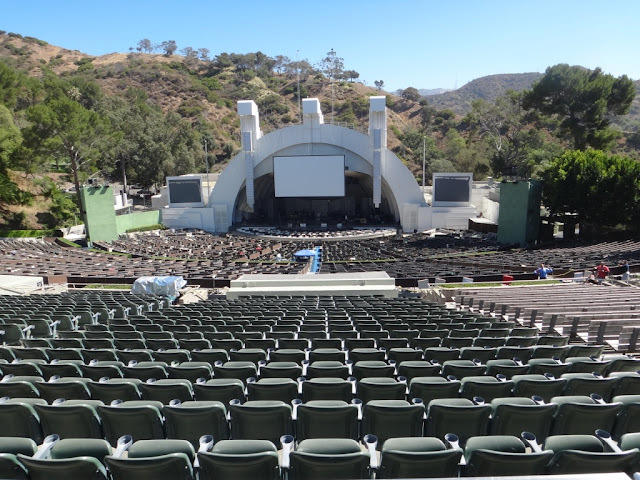 Photograph 2 - The famous Hollywood Bowl, LA. Photograph 3 - Imagine a red carpet and the fanfare on Oscar Night. 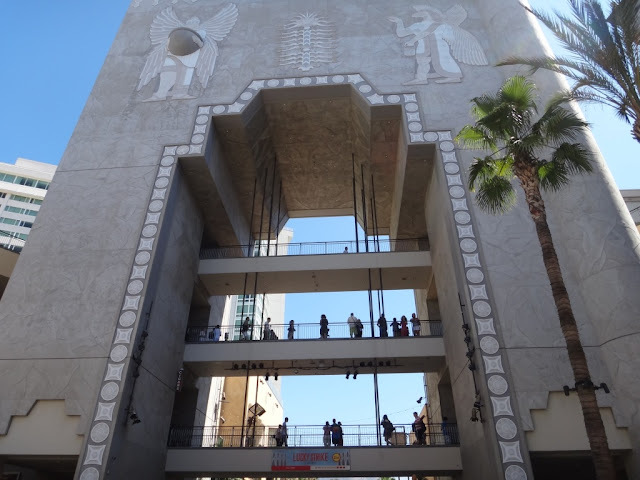 This is where the stars make their entrances and exits on Academy Awards night, Dhoby Theatre, Hollywood. Photograph 4 - The famous Hollywood sign on Beverly Hills, LA. Taken from the Dhoby Theatre. 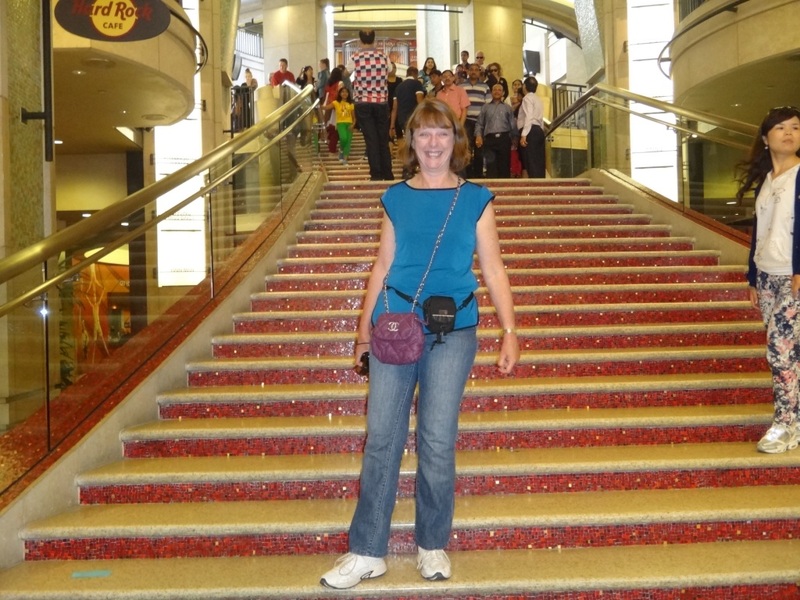 Photograph 5 - Along Hollywood Boulevard, inside the Dhoby Theatre, LA. Photograph 6 - Anne making a grand exit down a pretend red carpet (on a pretend Oscar night). 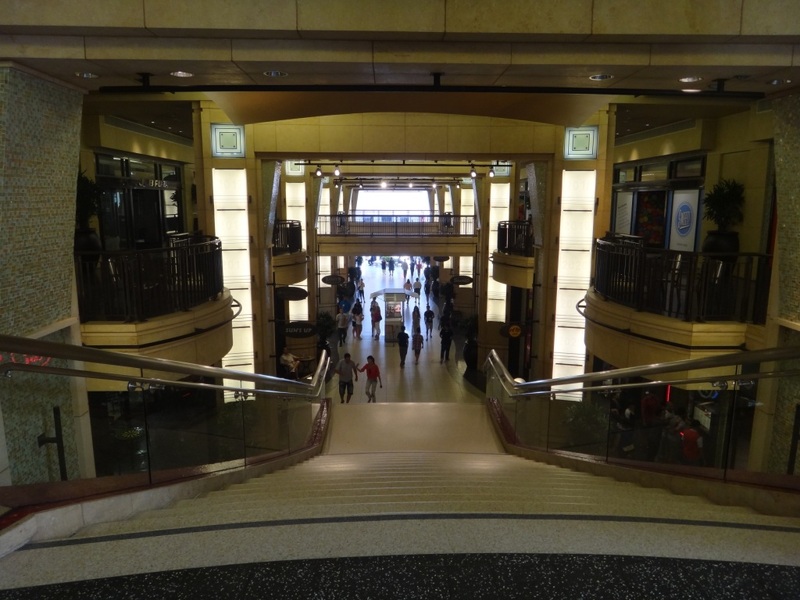 Dhoby Theatre, Hollywood. 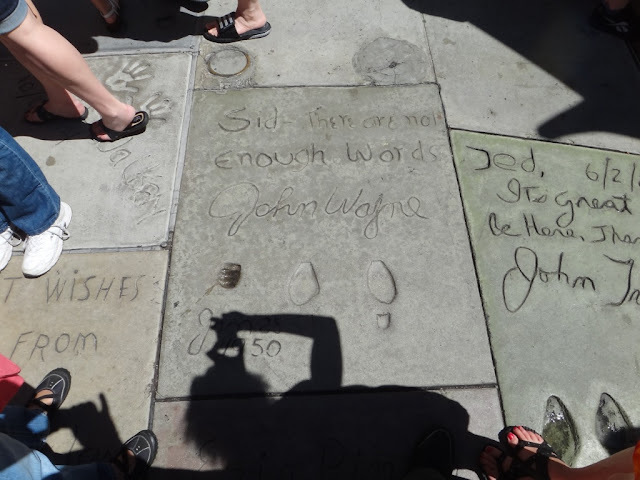 Photograph 7 - Outside Grauman's Chinese Theatre, Hollywood - John Wayne's footprints (note the small heel - he was wearing spurs at the time). 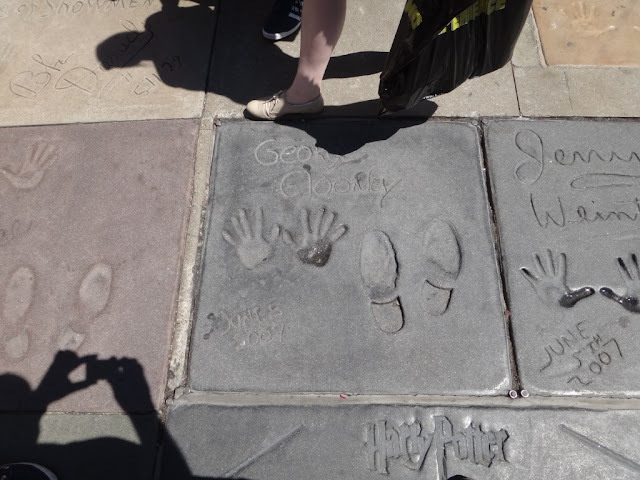 Photograph 8 - George Clooney's hand and foot prints - same location at photograph 7. 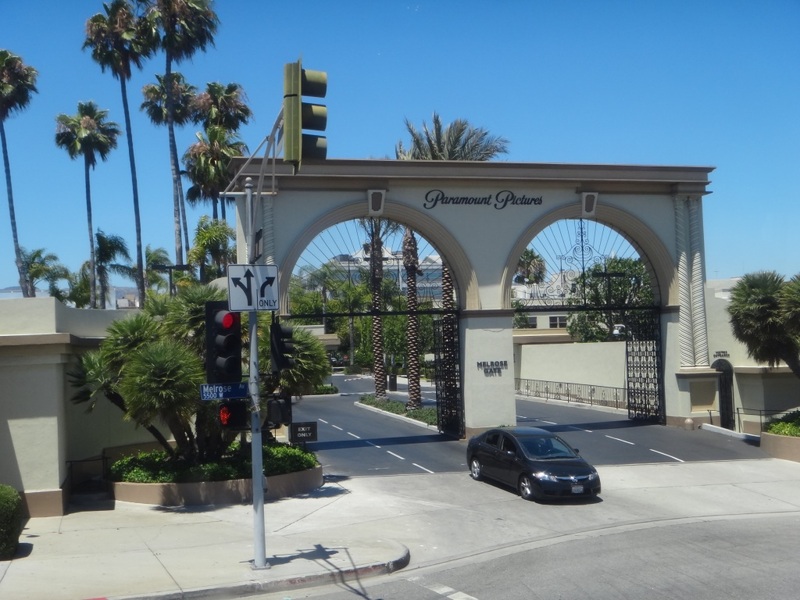 Photograph 9 - This is where Hugh Grant made a deal that Divine Brown couldn't refuse - along Sunset Strip, LA. 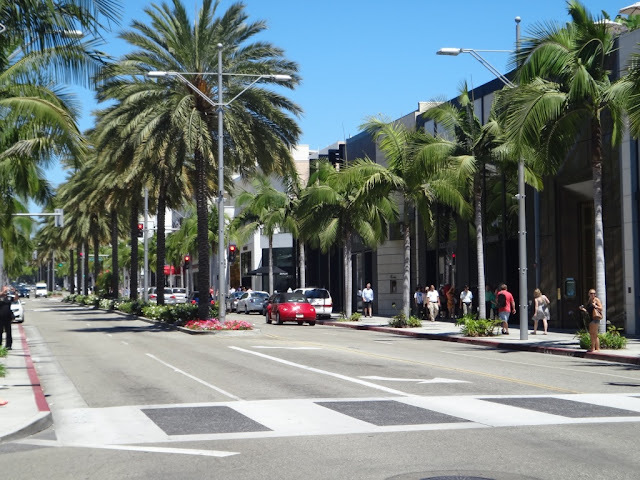 Photograph 10 - The famous Rodeo Drive, LA. Second most expensive shopping street in the world - the Ginza in Tokyo is the most expensive apparently. 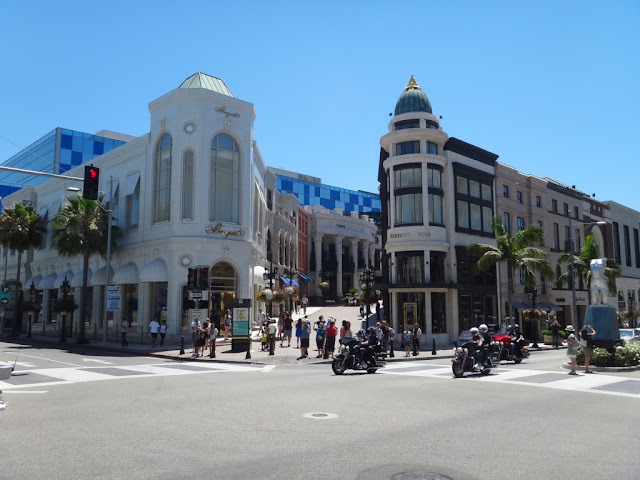 Photograph 11 - At one end of Rodeo Drive, LA. Photograph 12 - Check out the price tags on this window display along Rodeo Drive LA - $2,500 !!!! 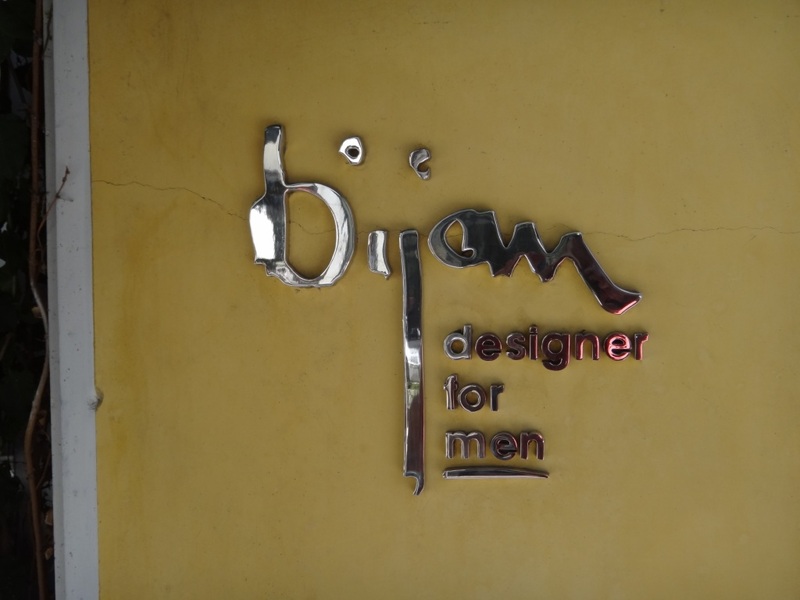 Photograph 13 - Mr Bijam only deals with the super rich (Prince William, Prince Charles, Bill Clinton, George Clooney etc etc. He only does business on appointments. His shop is along Rodeo Drive LA. 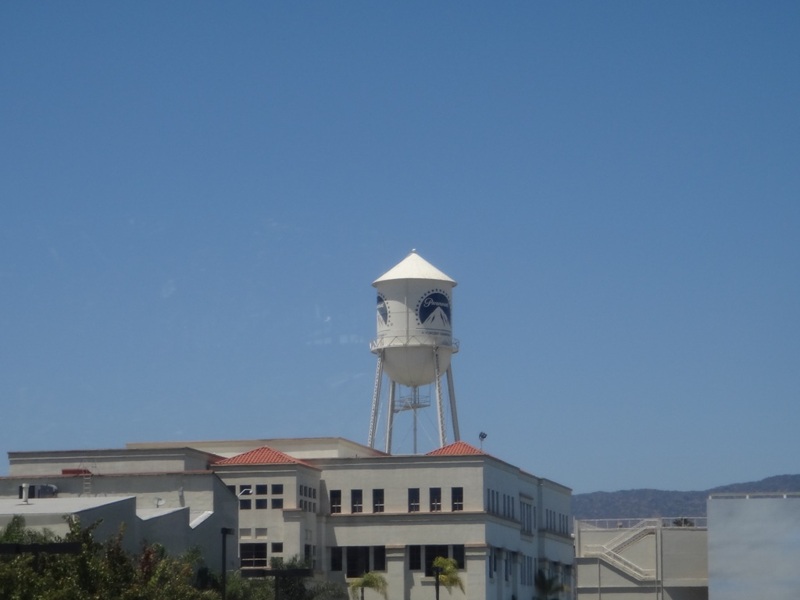 Photograph 14 - The famous Paramount Studio tower, LA. Photograph 15 - The entrance to Paramount Studios, LA. Photograph 16 - The tallest building in LA (the centre structure). Also the first building destroyed by aliens in Independence Day - did you recognise it??? 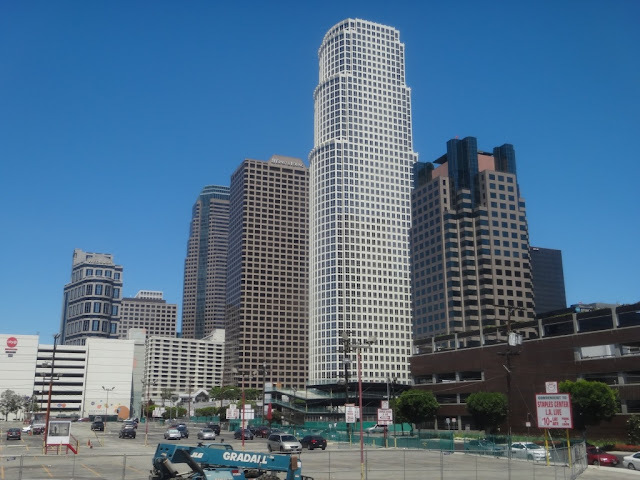 Photograph 17 - Downtown LA - the business and banking district. 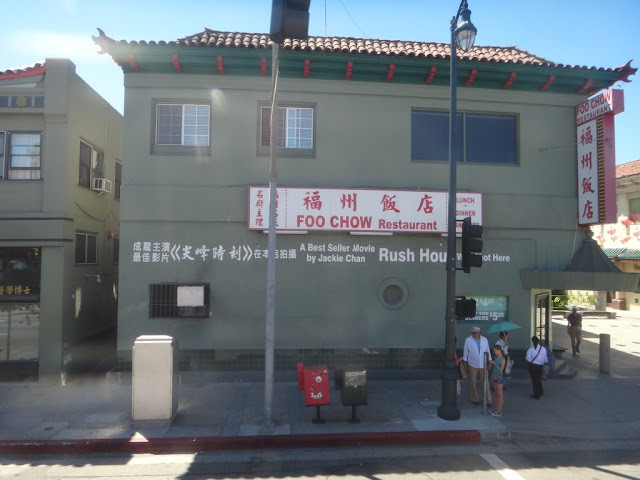 Photograph 18 - This is in Chinatown LA. Also the scene in Rush Hour with Jackie Chan. 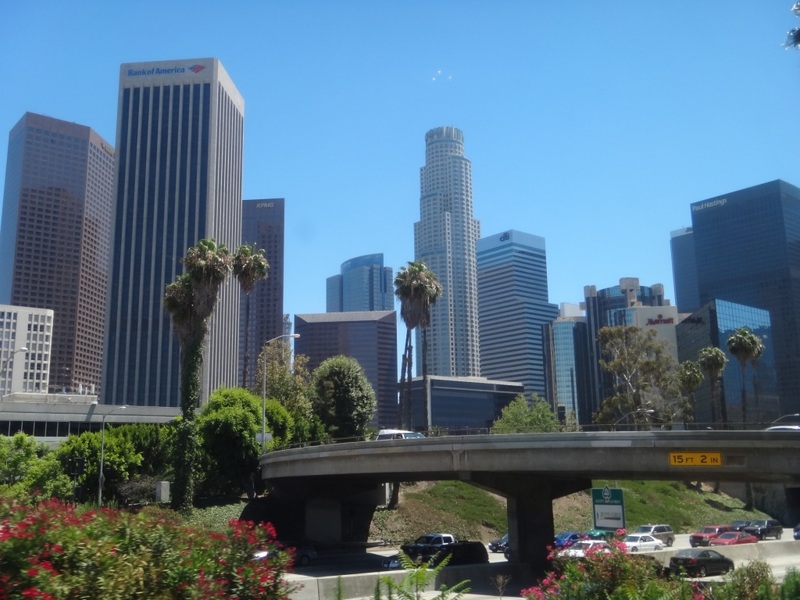 Photograph 19 - Recognise the building in the middle? Apparently it was used as the Daily Planet in the original Superman TV series. 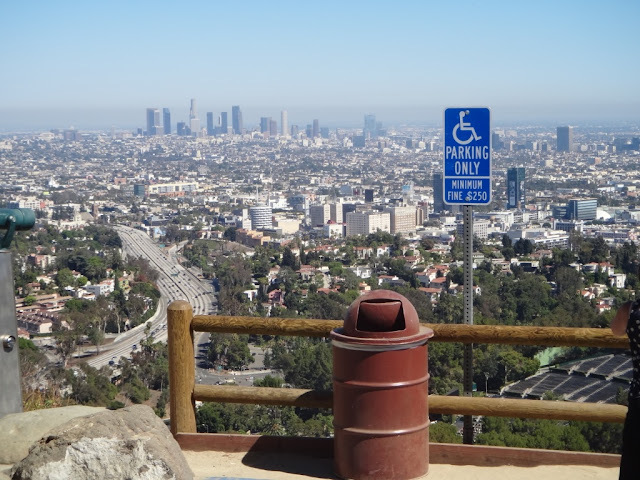 Photograph 20 - LA skyline taken from the heights near Beverly Hills. 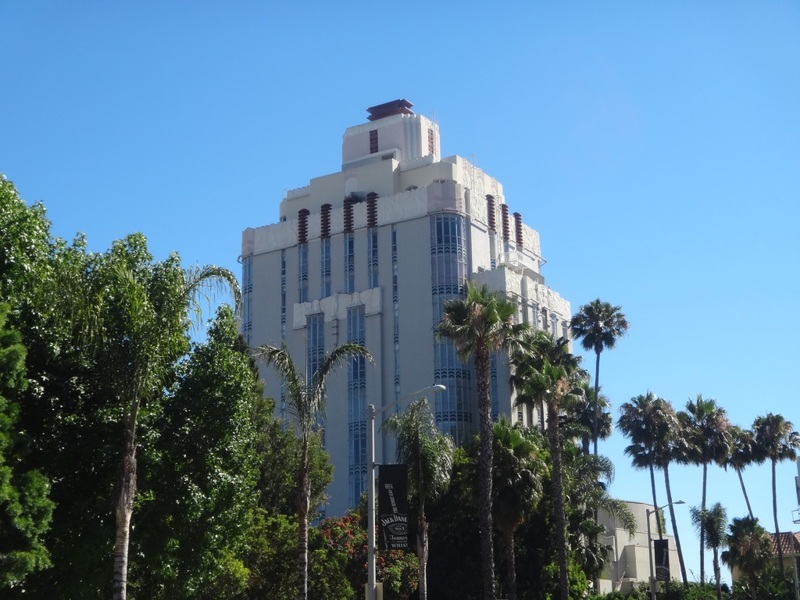 Photograph 21 - Ron Howard just purchased this building in Beverly Hills. 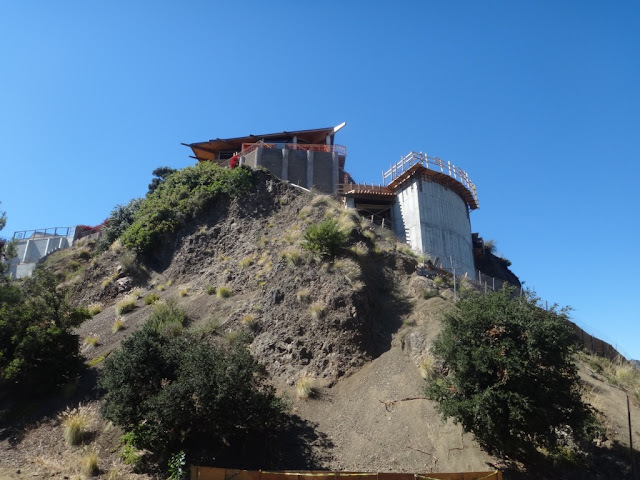 It is currently being renovated. The roof will open so Ronnie can look at the stars at night! Photograph 22 - Actually when this picture was taken Sandra Bullock was watching us - we couldn't see her however. Taken in her Beverly Hills home LA. Photograph 23 - John Wayne lived in one of the apartments in this building. We don't know how true it was but we were told he kept a live cow in his apartment - just another urban myth we believe! Taken along Sunset Strip LA. Photograph 24 - Elvis Presley and Priscilla once lived in this house. 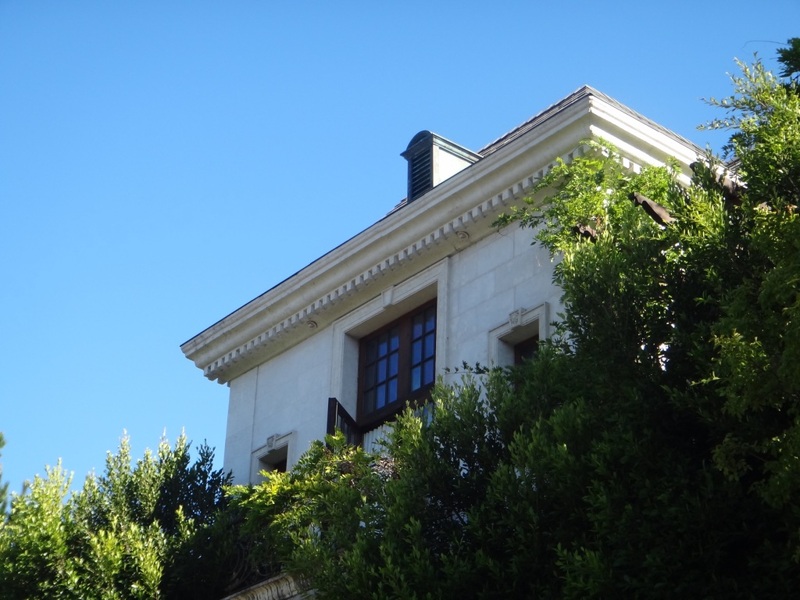 Michael Jackson adored Elvis and tried to buy this house for a large $M USD offer after the King's death. However, the owner who acquired this property refused to sell. Disputes between the rich and famous - don't we love it? Photograph 25 - Recognise this building?????????? 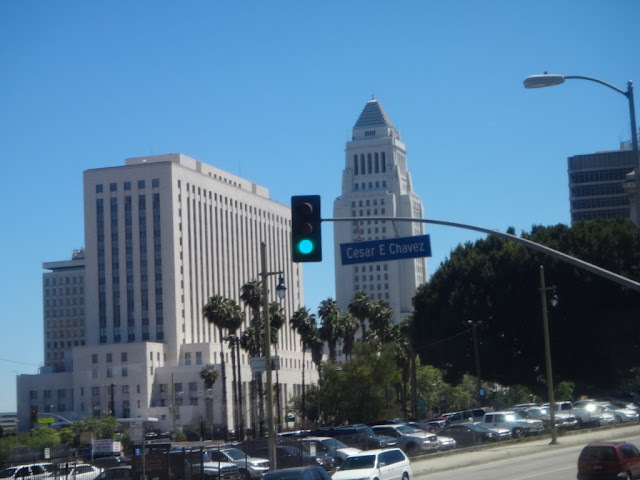 Well it was used during the Beverly Hills Hillbillies TV series. You guessed it it is located in Beverly Hills. Where Jed???? Photograph 26 - Finally the last picture (we do have many more). This is the room where Michael Jackson's died of an overdose - morbid you may think? Down the bottom at the garage entrance fans have made a shrine. Apparently wacko Jacko was renting this building in Beverly Hills for $100,000 USD per month. The building is very close to where Elvis once lived (see photograph 24). 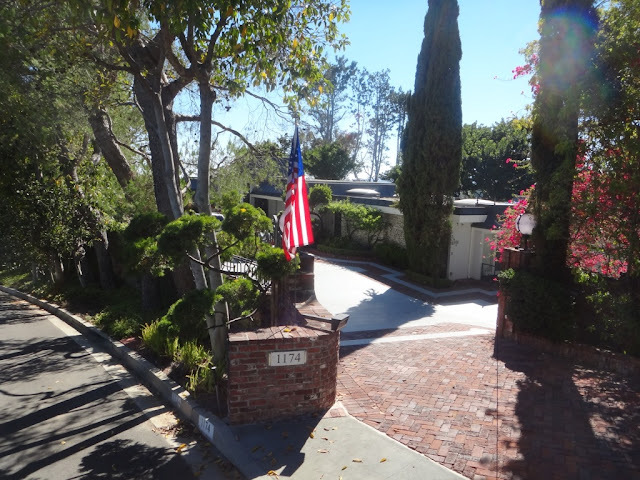 It's Sunday here in Los Angeles and we did a Grand Tour of LA plus a Movie Star Home Tour in 8 hours. We had to be at the Courtyard Marriott Hotel at 8:10am, therefore it was a taxi ride to travel the six klms extra. 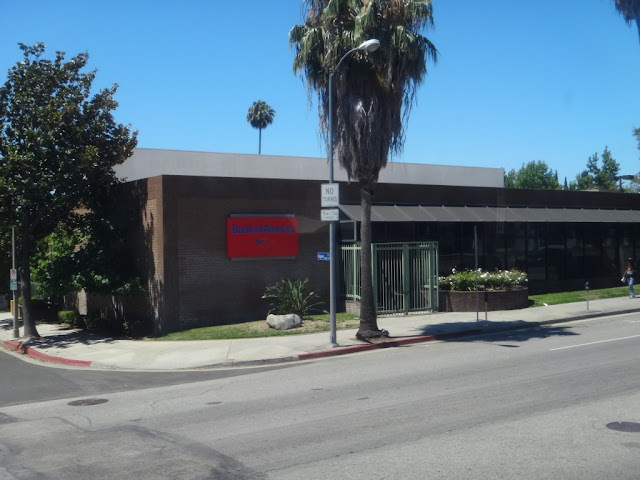 Interestingly, they drop us back at the Travelodge in Culver City okay. The tour company "Starline" have very good tour guides but their organisational skills are crap. 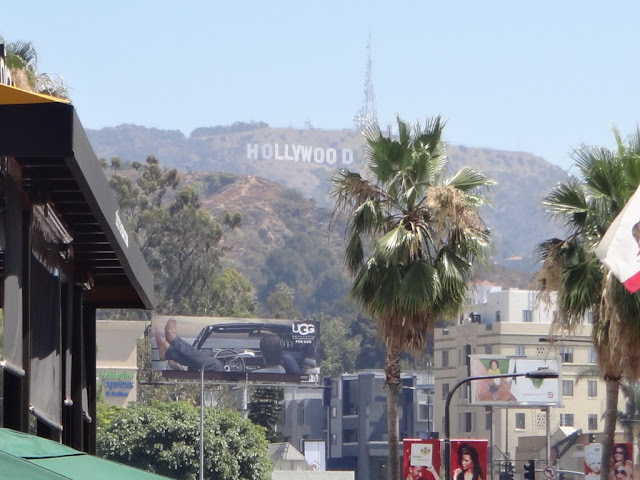 What we did this morning was visit the Hollywood Bowl, Grauman's Chinese Theatre, Dhoby Theatre, Paramount Studios, Rodeo Drive, had lunch at Farmer's Market, Sunset Strip and the celebrity footprints. 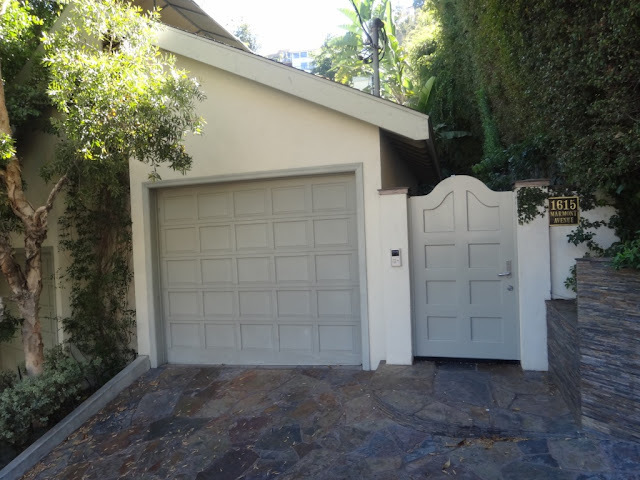 In the afternoon we were in an open vehicle and visited star's homes in Beverly Hills and Bel Air. Neil got to see where John Wayne had lived. 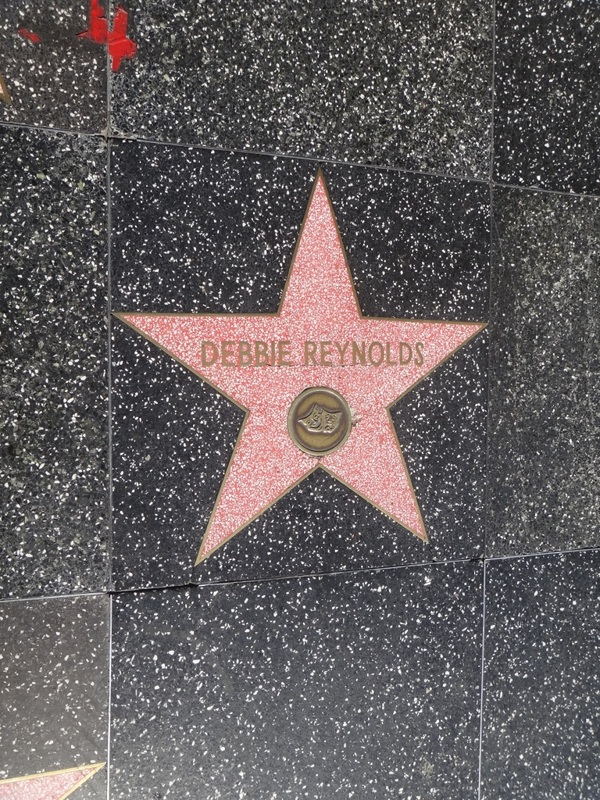 Stars like, Courtney Cox, Jennifer Anniston, Peter Falk, Michael Jackson, Elvis Presley, Ringo Starr, Madonna, Lucille Ball, Dr Phill, Jackie Chan, Danny Thomas, Sandra Bullock, Betty White, Ron Howard, Paul Newman, Agnes Moorhead, Sidney Portier, etc etc........just to name a few. We took hundreds of pictures and you know what? We are going to have problems identifying each house we snapped with the star who lives in them. Nevertheless, there are a few that is strongly recognised: Michael Jackson's house where he died recently, Sandra Bullock's house (she was in her house and spotted us - but we didn't see her), Lucille Ball's house (she would have been 100 years old this year) as her front garden is full of beautiful roses. As you can see we are overloaded with information and just mind boggling. 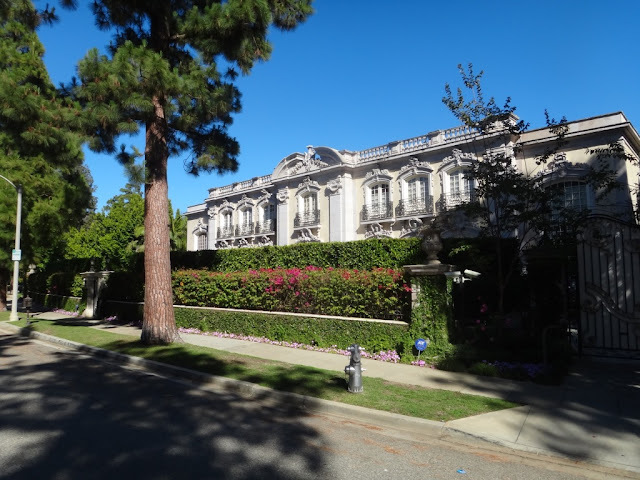 Travelling through Beverly Hills and Hollywood and being told this was owned by........ and this is where they did in the movie.............and this is famous for......and this is where something infamous occurred............... well it was too much to take in. One thing that was funny as we travelled along Sunset Blvd...was when Hugh Grant picked up Divine Brown along the street, he immediately withdrew money from an ATM nearby and was caught by the LAPD (they were stalking Divine Brown). But, what was funny is that Divine Brown was a guy!!!!! Tomorrow we go to Universal Studies located nearby. We have have preferred parking and no-wait-in-line tickets. Hopefully the day will be without ado. Also it is our second last day with Connie. The next day we will travel back to Las Vegas and hand her back to Avis - sob sob. Cheers.